I’m writing my thesis on an aspect of the ethics of nanotechnology, so I’ll probably be tempted to post things relating to the topic. 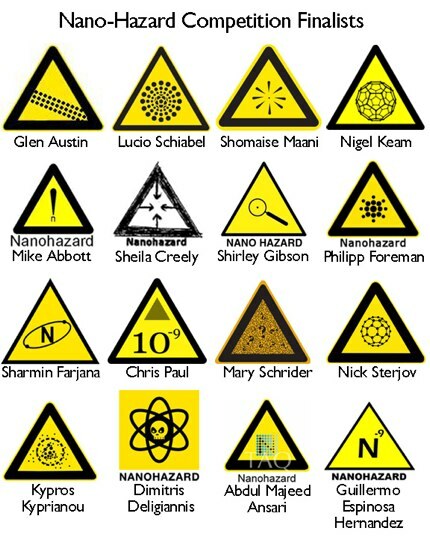 Here are the 16 finalists for the Nano-Hazard design contest. The three winners are last. I think the first one is pretty cartoonish, the last could be “Beware the dust” but the middle one is just perfect. Simple and direct. The things to beware are small, and this is a warning sign. What are you gonna do? Go hunting with your electron microscope? Or just run?